We’ve had some very nice weekends this month. 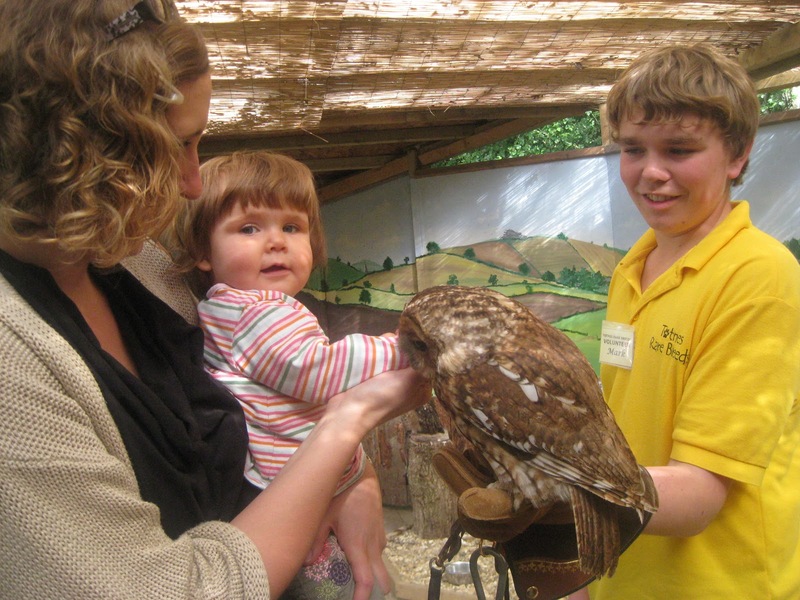 For the most recent one we all went off to Center Parcs with a few friends and the one before that Evelyn and I spent in Devon, investigating some of the many many family attractions it has on offer and of course getting in some quality Granny and Grandad time. Both weekends were lovely, they were also spent doing things we’d never have done before we had Evelyn. But the weekend I’ve been meaning to write about here was the one three weeks ago, and it stands out because it was so very ordinary. Not ordinary for recent months, that would have involved lots swapping Evelyn between Fred and I as we both battled to get through our long list of jobs, cooking and DIY before falling into bed later than planned and with a large chunk of the to-do list still un-ticked. No, what made this particular weekend so nice was that it was ordinary for the pre-parental us, and yet still involved Evelyn. On Friday night we were organised enough to have dinner not too late and actually watch a DVD (normally anything as long as a DVD is just too much of a commitment). 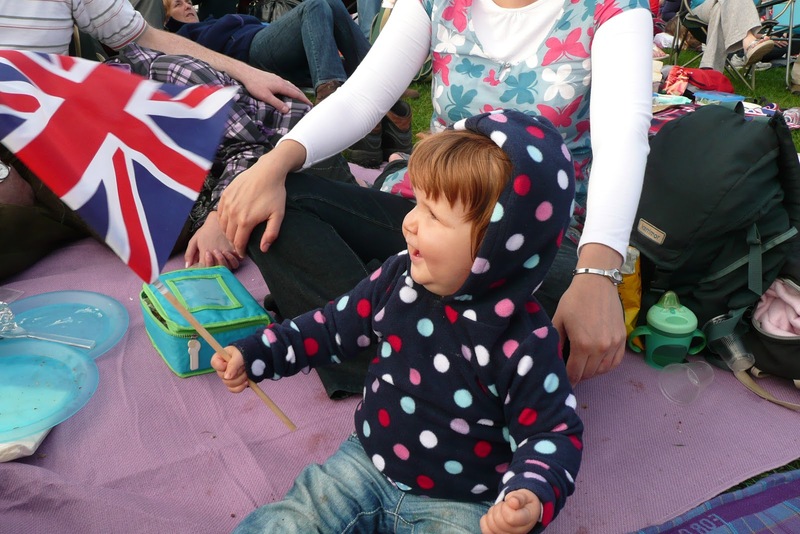 Then on Saturday we went to the Proms in the Park. (For those who don’t know) this is a big classical music concert held every year in Hyde park. Fred and I have been going to it for a long time, since well before we met each other in fact, but last year, with Evelyn only a few weeks old, we had to stay at home. This year we decided to give it a go, and despite my concerns that it would all be a bit much for her we all ended up having a lovely time. 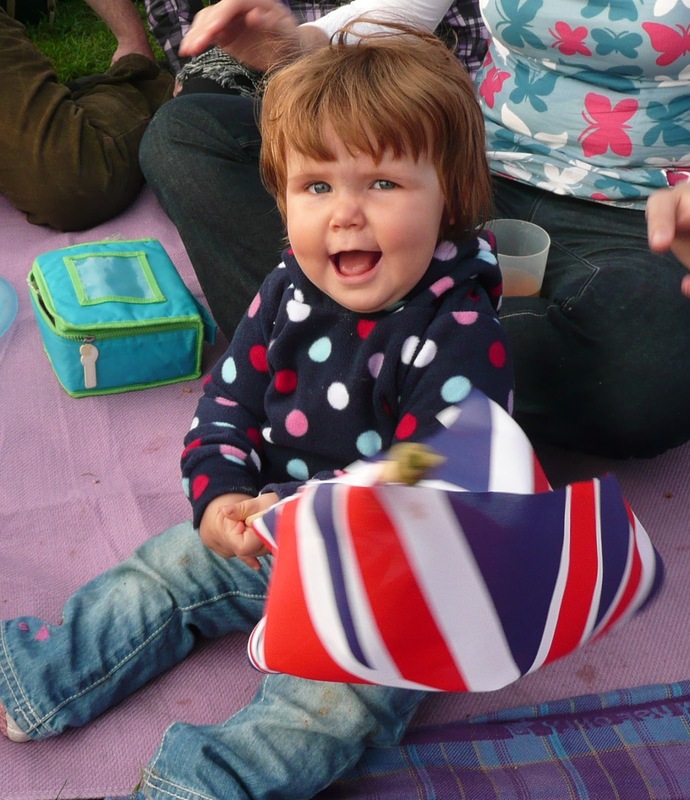 Evelyn was very happy to join in with the picnic before the acts started, had a great little dance along to the ABBA tribute band (ok it’s not all classical music) and had such a good time waving her little Union Jack that Fred confiscated the stick before she injured anyone! Towards the end of the night they always link up to the main Last Night of the Proms concert at the Royal Albert hall and everyone sings along to Jerusalem, Rule Britannia, etc. but as it was getting late by this point and we decided it would be a bit much for Evelyn to stay up for that. However, we managed to get her home and to bed in the time it took one of the dodgier acts to do their bit, so that Fred and I could watch the finale on TV and sing along, all be it on our own in our living room rather than in a field of thousands, but the spirit was there. hmm, perhaps small person + pointy flag is a bad a idea? On Sunday, a very tired little girl decided to sleep in late. Bliss. We then discovered that our new local does a cracking Sunday lunch and is quite happy to have kiddies along and after all that, while Evelyn napped, we had coffee and cake in the Garden. It wasn’t an amazing weekend, there were no Friday night beers by the river, no long late nights in bars or at house parties, no city breaks to interesting European locations, but it was a little taste of our old life, only perhaps a little bit better as this time we had the added pleasure of seeing Evelyn enjoy it all for the first time. 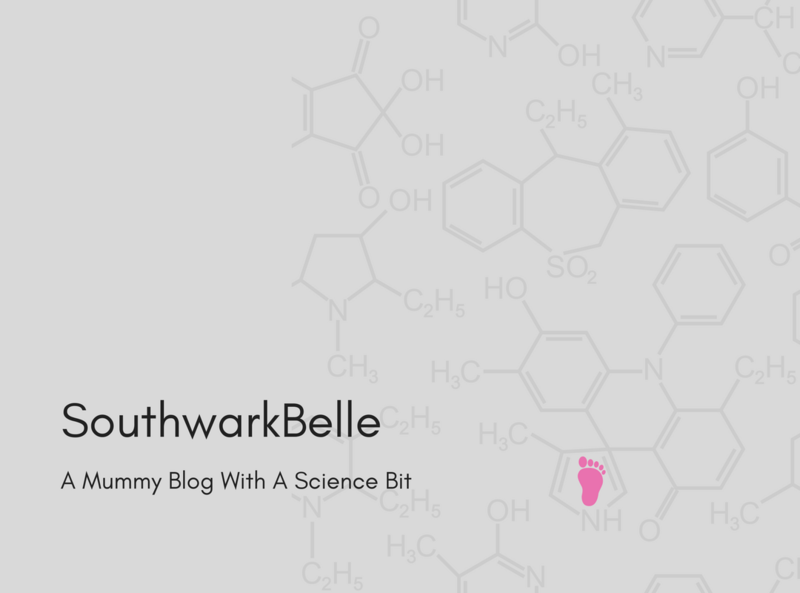 Next: Next post: And The Prize Goes To…..